This adventure is for you! 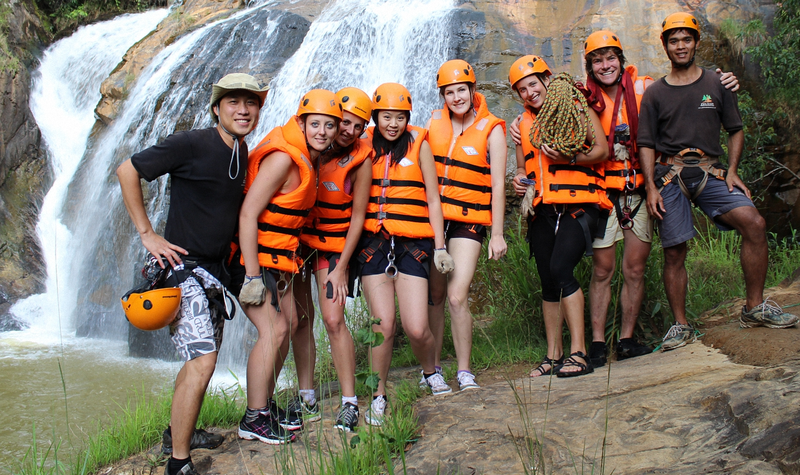 Professionally trained guides will show you the ropes and prepare you for the journey down the waterfalls. No previous experience necessary for this action-packed day of rappelling (abseiling) swimming, jumping and sliding down the falls! What is canyoning? Canyoning is navigating your way through a canyon. In this case, the canyon contains water and in some sections the topography requires ropes to navigate our way successfully. Other sections can be hiked or swam through. Datanla water falls. At the practice slope you’ll learn the basics of knot tying, harness wearing, hardware, and proper rappelling technique. 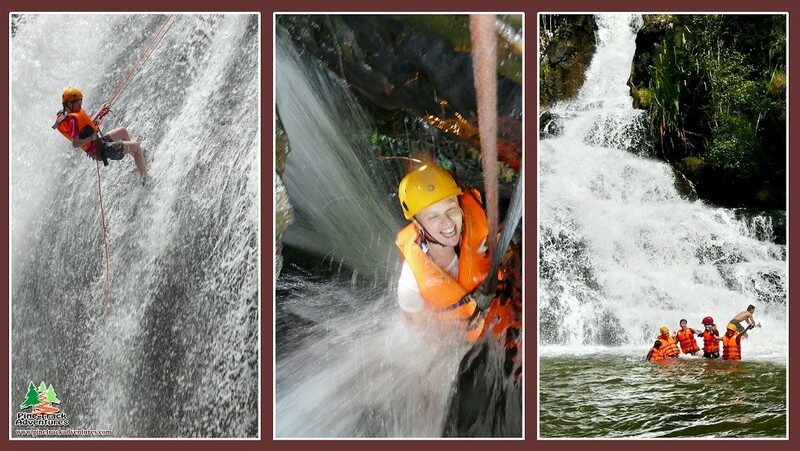 * It is an first exciting 18 meter descent into water at the base of a waterfall. * Then continue navigating your way down the canyon and enjoy the natural water slides. * The biggest thirst 25 meter rappel down a waterfall – a slightly more technical rappel. * A short break on the top of this one to enjoy a picnic lunch to charge energy and rest. * After lunch, there’s an opportunity to throw yourself 10 meters off the rock into a pool of water below. * And finally the most difficult rappel, affectionately known as “The Washing Machine”. * Then a 20 minute hike along the trail through rainforest and a couple of water crossing up the hill to bring you out of the canyon and meet the vehicle to get back to hotel. Purified drinking water, picnic lunch. Please note one day in advance if you have special dietary requirements. Price/Person: USD72. Can be paid in US$, Euro, VND or Credit card.